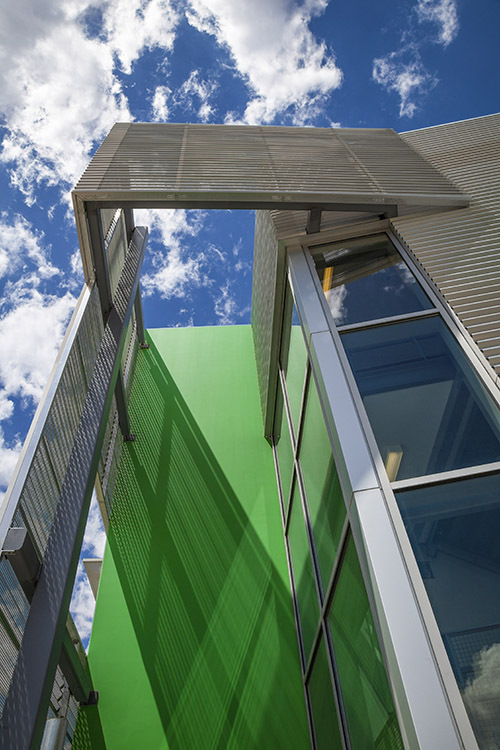 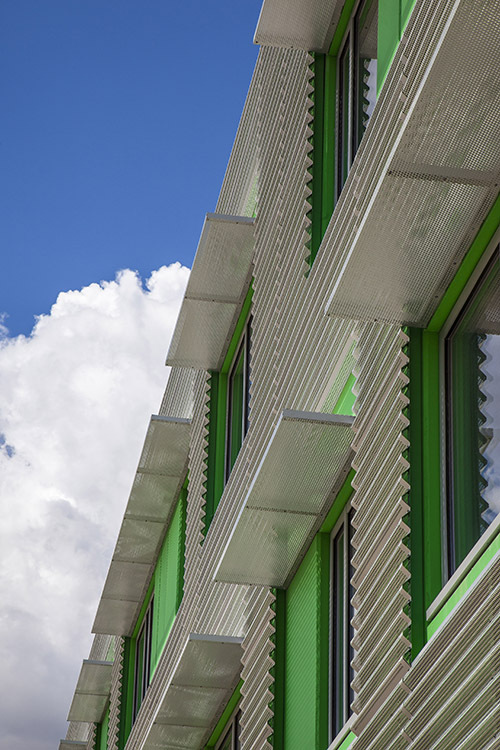 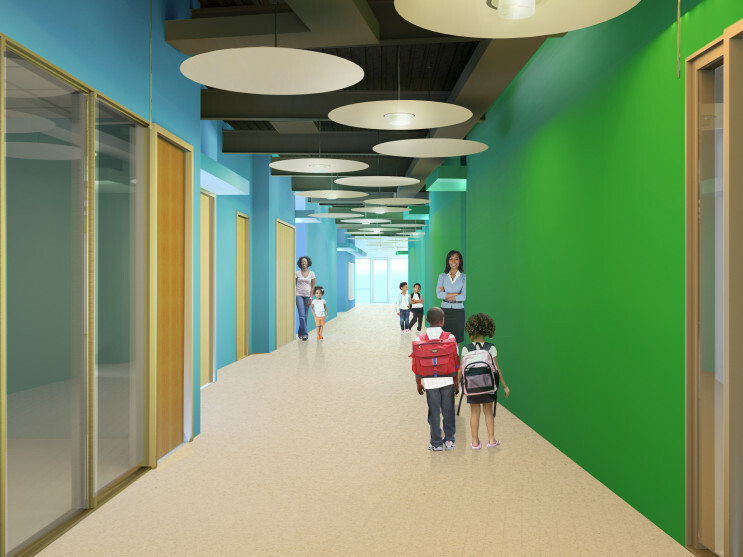 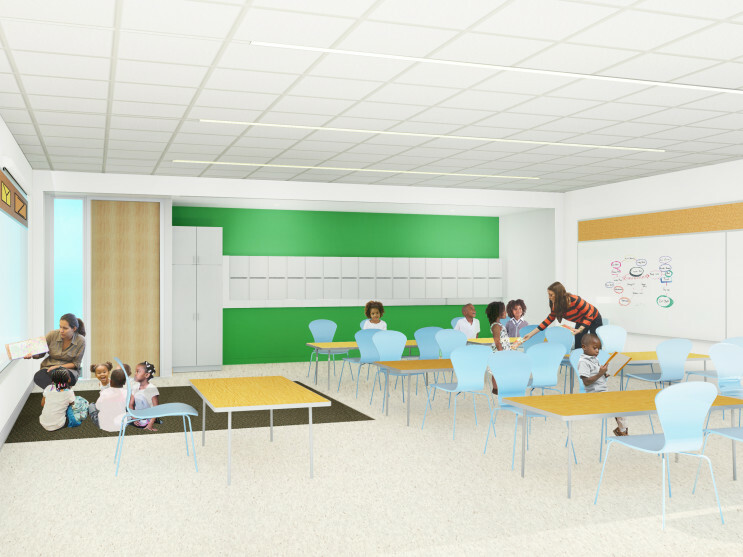 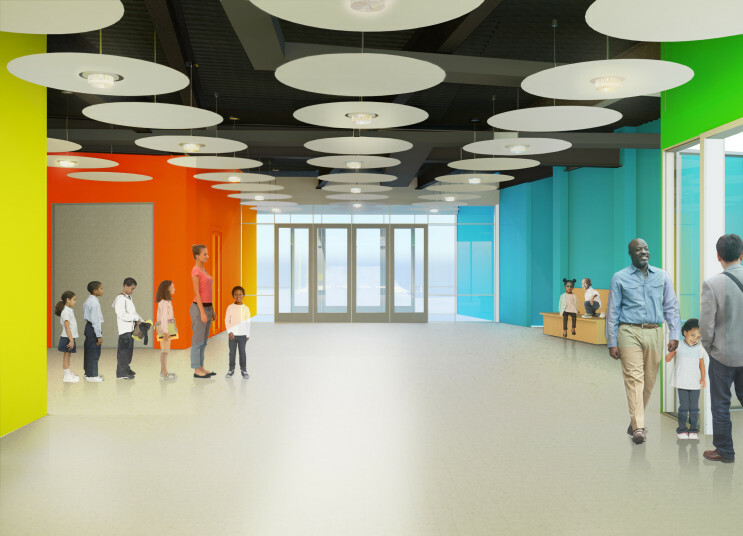 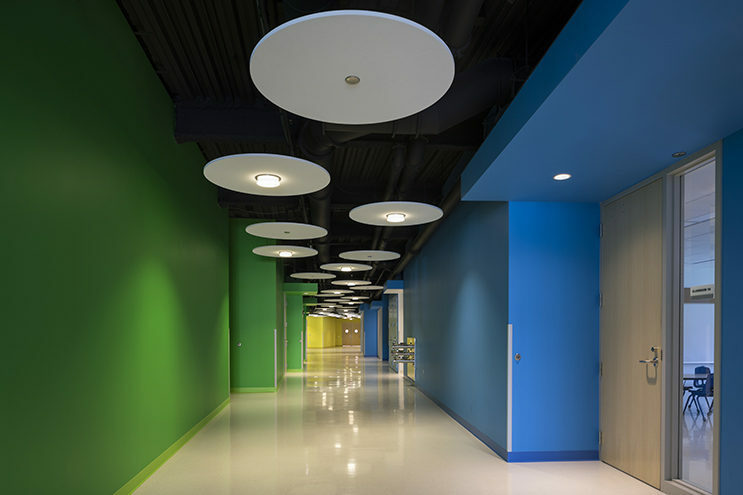 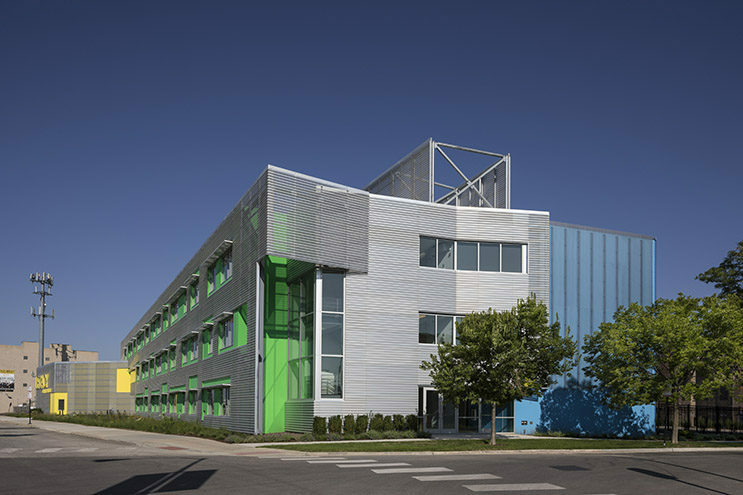 An outstanding center for teaching and learning in an under served community, the design for the new LEED Platinum elementary school artfully supports the school’s mission to encourage creativity, critical thinking and responsible citizenship. 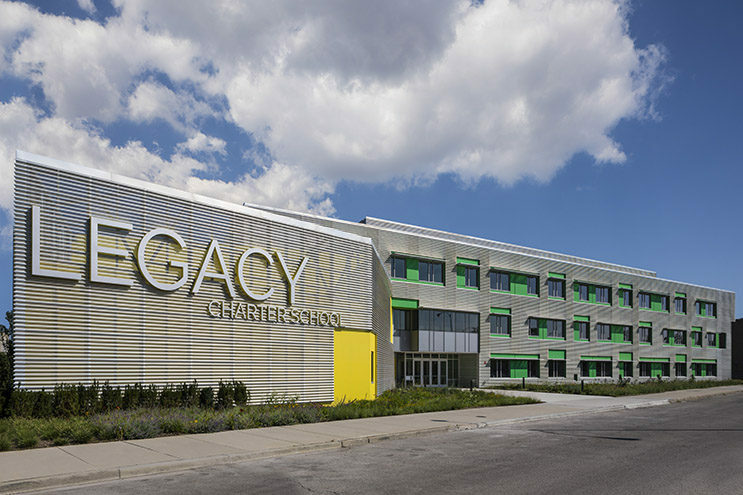 The independent Charter School is one of the top performing charter schools in the Chicago area. 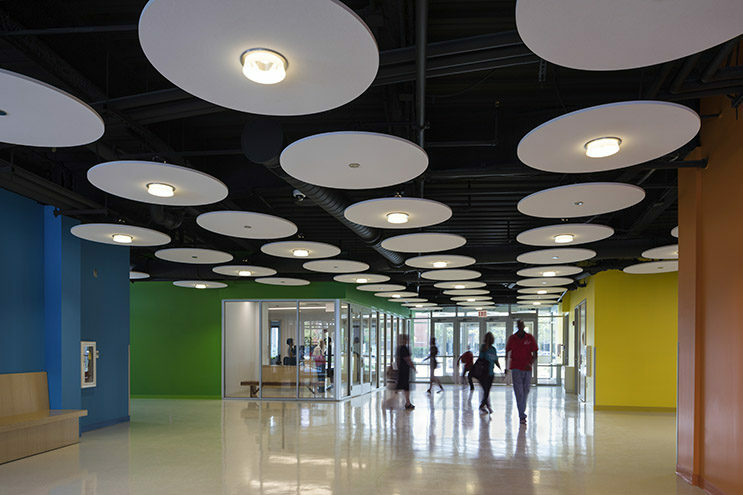 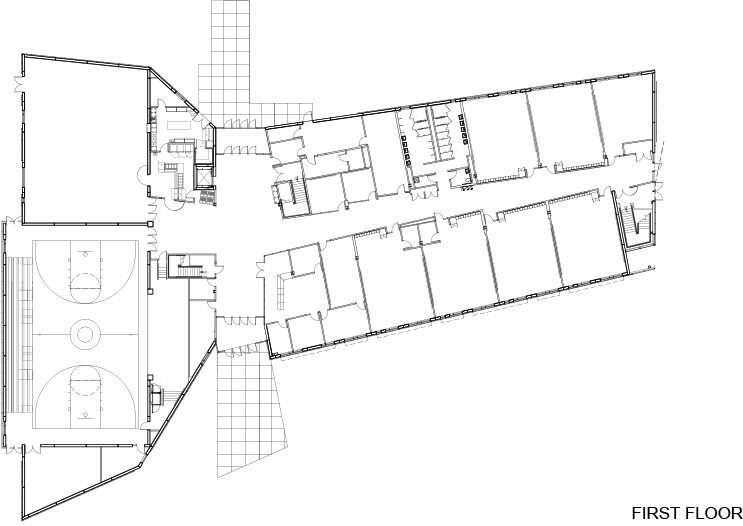 The school boasts small class sizes and an array of social and educational services. 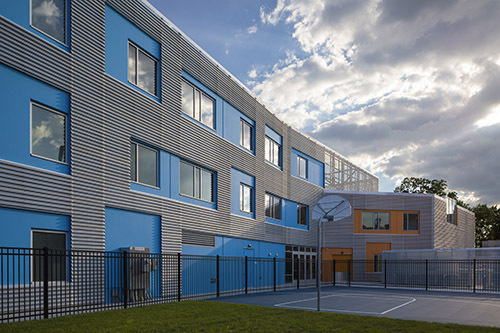 Project goals include creating a statement building for the community under a tight budget and delivering an easy to maintain structure that provides a safe and enriching environment. 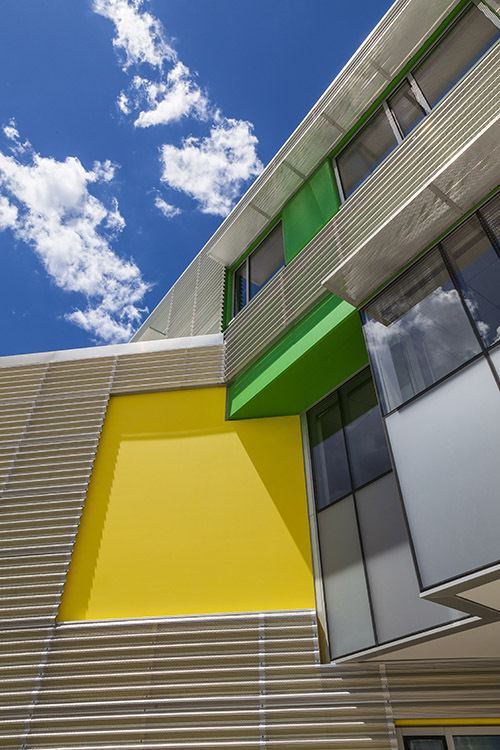 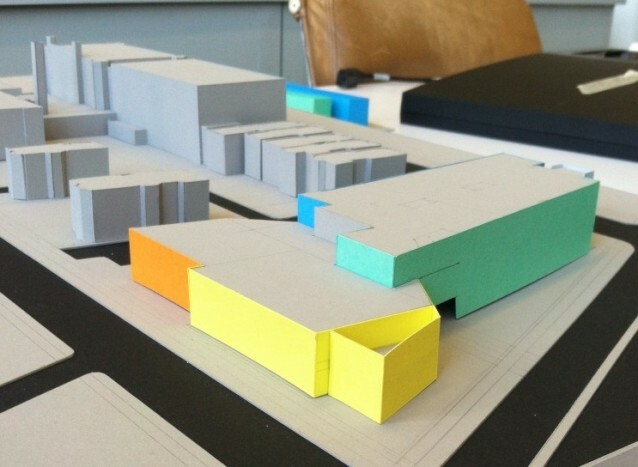 Our design features inexpensive, minimalist materials in bright colors and energy efficient systems. 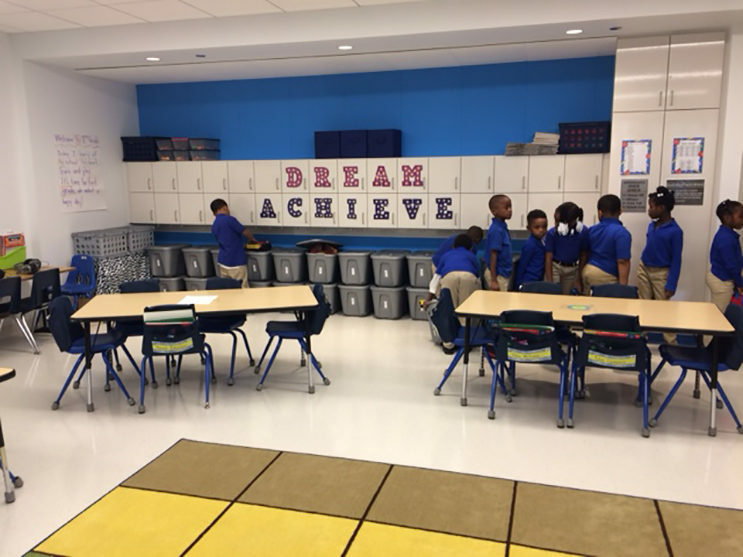 The variety of learning and service centered environments ensure that each child’s strengths, needs and learning style are nurtured.